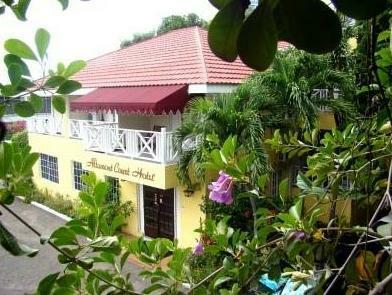 ﻿ Best Price on Altamont Court Hotel in Kingston + Reviews! An outdoor pool, a modern gym, and a pool bar are featured at this tropical Jamaican hotel. The Bob Marley Museum is a 5 minutes’ drive from the hotel. Free Wi-Fi and cable TV are available in all rooms at the Altamont Court Hotel. The rooms also offer a balcony and colonial-style décor. The hotel also features a modern fitness center. the property has an elevator that allows access to all 3 floors and all rooms. Guests can dine at the Mango Tree Restaurant, which serves local and international cuisine and is located by the pool. Altamont Court is within a 5 minutes’ walk of Emancipation Park and Knutsford Boulevard. This was a nice small hotel in city center (if such exists in Kingston). Breakfast was ok and the hotel staff was friendly, except that some waiters (ladies) in the restaurant could have had even one smile during the week stay. The food was fine. The internet in the hotel was ok and the room was nice and clean.